ADVANCE ENTRIES ONLY!! - NO late entries will be accepted. Entry form below must be completed no later than 4:00 p.m. on September 9, 2018. Displays MUST be up by 2:00 p.m. on Sunday September 16th and judging will take place after 2:00 p.m. Depending on how many entries and locations judging may occur over several days. Winner will be announced via social media no later than 5:00 p.m. on Friday September 21st. 1st - $100.00, 2nd - $75.00, 3rd - $50.00 and $20.00 will be awarded to all other (worthy) displays. 10% will be deducted from prize money for entry fee into this competition. Open to homes & businesses throughout the community of Thorndale and within a 20 km radius from the Fairgrounds. A display of any size or shape to be decorated with any material (suitable medium) to promote the Thorndale Fair. For example: hay ,straw bales, big or small corn stalks, rakes, ploughs, flowers, vegetables, etc. Display must face the road and be on owner's property. 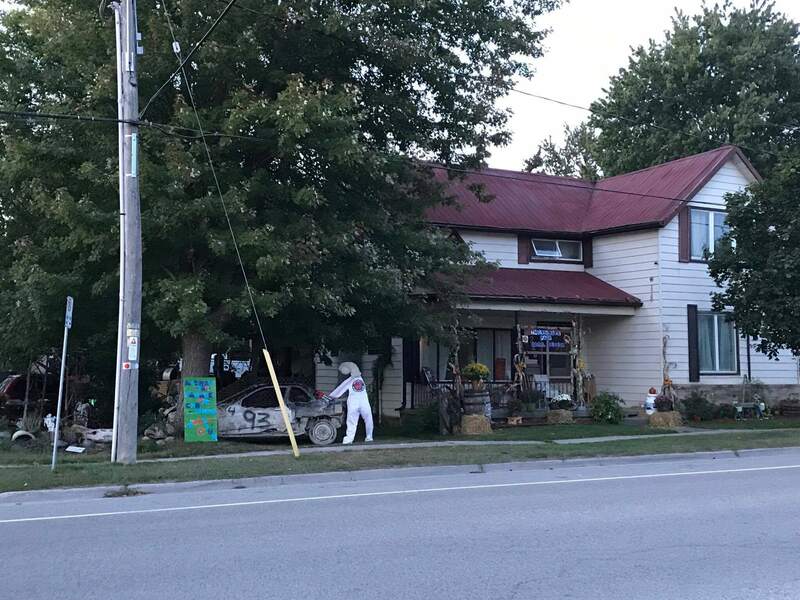 May be displayed on another property with owner's permission. Display is NOT permitted on the road allowance. A sign MUST accompany the display and be clearly visible from the road. 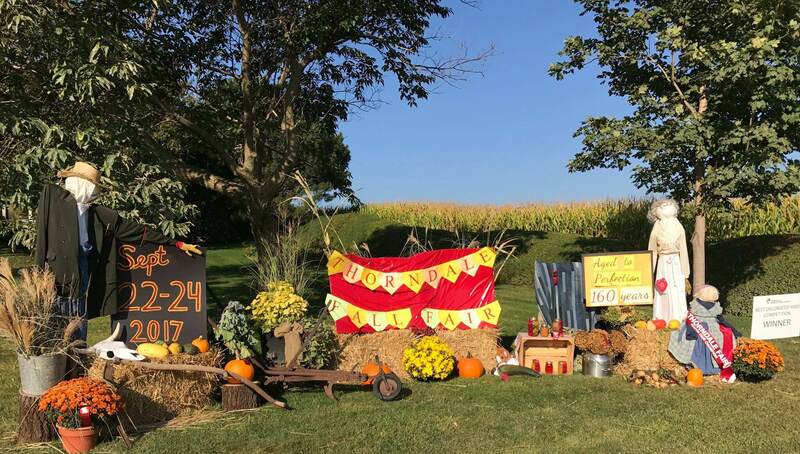 The sign must state "Thorndale Fair" - Sept. 21 - 23, 2018 and include the Fair Theme "Fun for the Whole Herd"
Display must remain in place until September 24, 2018. 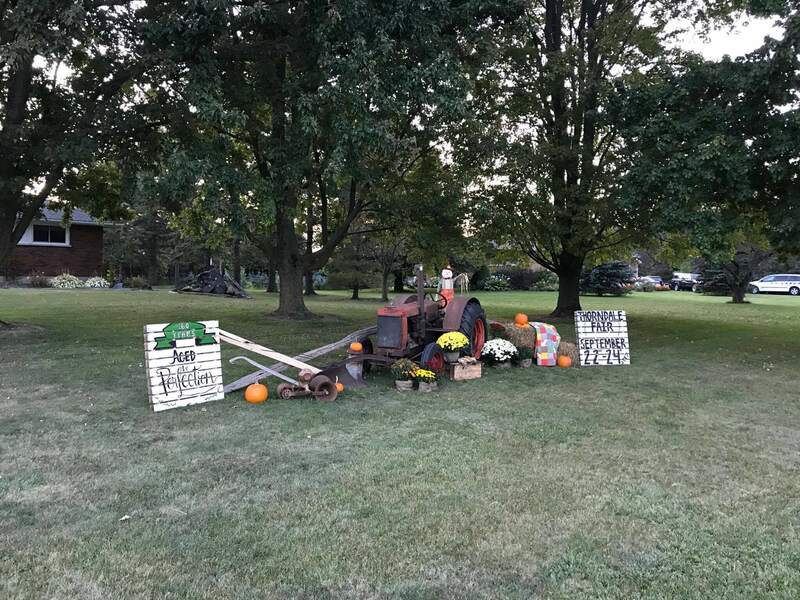 Participants/Entrants agree to have a picture of the decorated yard to be posted on the fairgrounds on the weekend and our social media platforms.